Bazaar® Naan breads are the perfect accompaniment for your favourite curryor equally are great for cutting into wedges and serving with dips. Each Naan is made with the finest ingredients to deliver a delicious, soft texture. 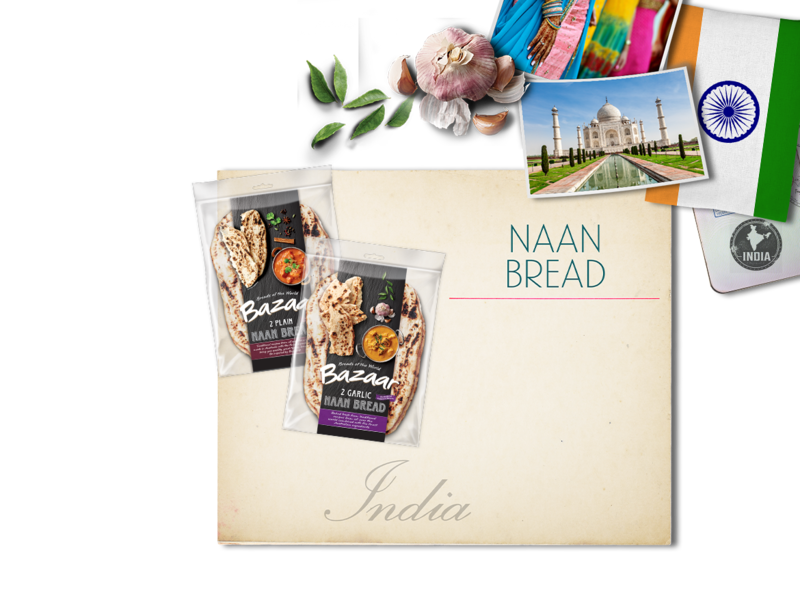 Available in Plain and Garlic flavours, you can find Bazaar Naan breads in your local Independent grocery store.